Let's face it, there are worse day jobs than having to sit in thousands of massage chairs in order to compile a review of the very best. There are thousands out there, and that's a lot of walking. Thankfully at the end of it all, you get to sit down and have your entire body massaged with the latest technology. After hours of testing and researching the current top-of-the-line zero gravity models, we found they share a similar feature set. What sets them apart comes down to where and how each component was manufactured. Zero gravity engineering allows the chair to recline into a fully flat position; and in many chairs, one level further, so that your feet rest above your heart. This decompresses the spine and allows space to be created between each vertebra. 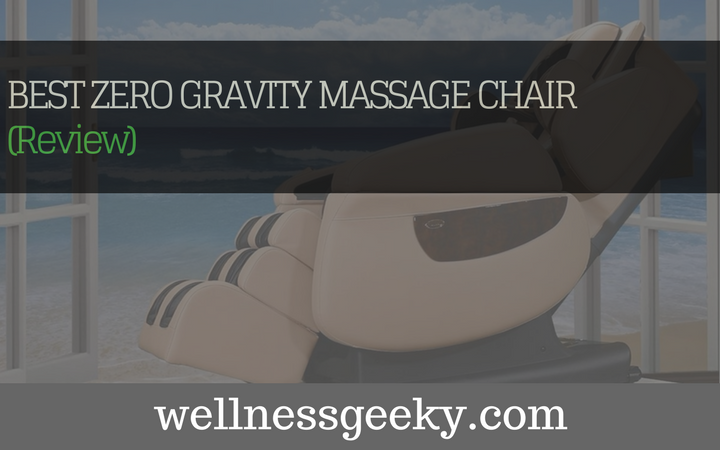 This weightlessness is ideal for easing lower back pain and enhancing relaxation. After countless hours of research, here's a list of the best chairs of 2018 and how they compare. 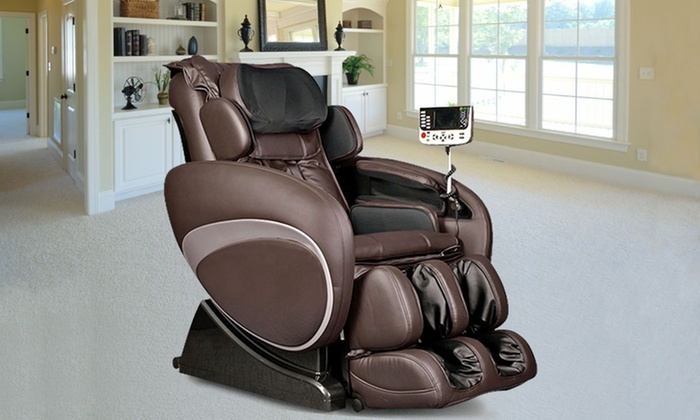 Our choice for the number one spot is the Luraco Technologies iRobotics 7 Medical Massage. Researched, manufactured, built, and supported in the United States, this is the most technologically advanced chair you can buy. It's also the only one that is approved by both the FDA and Underwriters Laboratories (UL) for its medical therapeutic use and safety. The computer scanning feature scans your body and then provides a personalized massaged, tailored to your exact dimensions and preferences. You can adjust it to fit your exact height. It has five memory settings, so everyone in the family can set up their own individualized program. Choose the preferred intensity, type, and length of massage, and with a touch of a button on the smart remote, its programmed right in. There are nine pre-set programs to enjoy, or you can create your own, wherein the options and combinations are limitless. There are five different levels of 3D intensity, which delivers the closest you can get to a human massage. From neck to toe, this advanced robotic massage relieves sore and tight muscles and delivers ultimate relaxation and rejuvenation. There is adjustable heat throughout the entire surface, not just in the back or seat. There are two rollers that massage the soles of the feet, and the foot pad is removable. There is a unique swivel and twist function that you can't find in any other model anywhere, and the arms are massaged via targeted acupuncture points. It's incredibly quiet, so rather than hearing a motor or the sound of compressed air bags, all you hear is the music you choose to listen to through the built in MP3 player. It's covered under an unparalleled warranty, so you're covered for five years on parts and three on labor. It's available on Amazon for just under $8500. A close second is the Human Touch NovoXT. It has similar features and is an excellent massager, save the absence of an all-encompassing heat feature. What sets it apart is its space-saving capability. 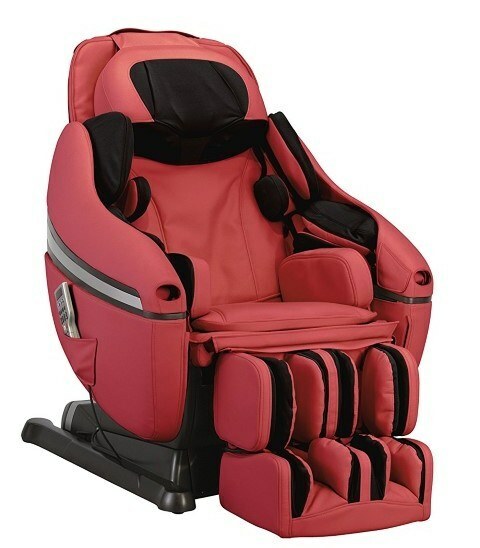 Built on a unique and advanced glide platform, you only need two inches between the wall and the chair to fully recline. It takes up ten fewer inches in length and seven in width, making this the perfect selection for small spaces or apartments. The heat feature is only available in the lumbar region, so while excellent for low back pain, it's lacking in the rest of the body areas, and it has no adjustment capability. It comes with 30 built-in automatic programs, including those specially designed for recovery, therapeutic relaxation, and whole-body immersion. It also has a rocking feature. It also has an excellent warranty, covering five years on parts, structural components, and in-house repair. You can pick it up on Amazon for just under $9,000. Another good choice for two-stage zero gravity benefits is the Osaki OS-3D Pro Dreamer - click here for a full review. 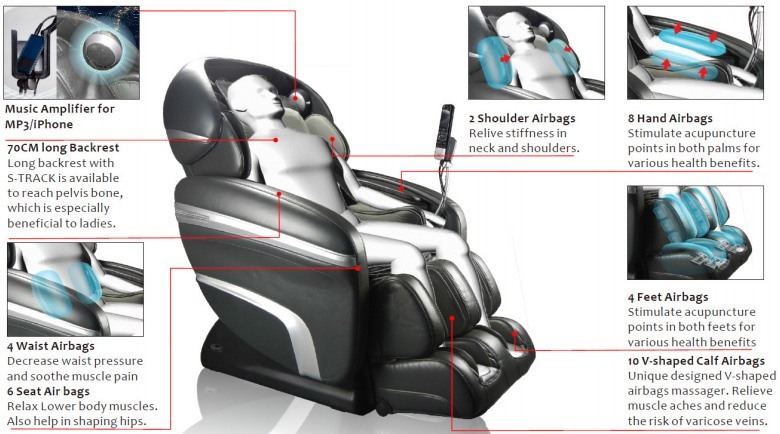 Also utilizing computer scan and acupoint technology, this provides two levels of zero gravity reclining. It too has a built in MP3 player, so you can enjoy your favorite music or nature sounds while relaxing and unwinding with a therapeutic end or start to your day. A few of unique and standout qualities in the OS-3D is the addition of automatic computerized leg scanning, a heated roller massage on the quad area, and the stretch massage, which is excellent for full body decompression. It also features the waist squeeze delivered by air bag compression. 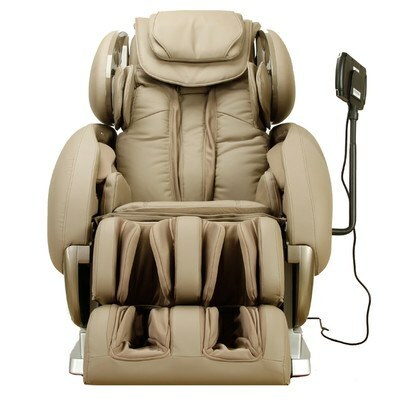 There are 10 automatic programs to choose from as well as a power recline option. At just under $7,000 on Amazon, the Osaki OS-3D Pro Dreamer is a good alternative. 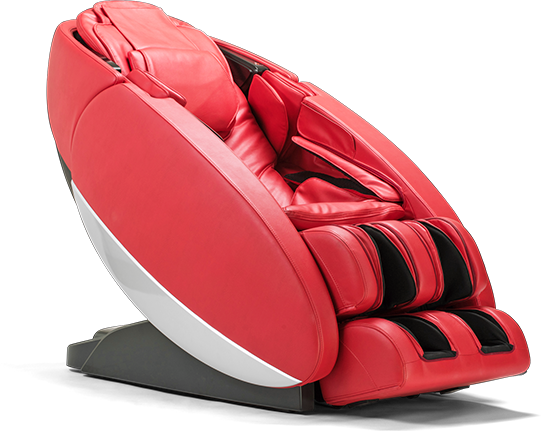 Similar to the Human Touch, the DreamWave is one of the most expensive chairs in the list at just under $9,000. This is the ultimate in shiatsu massage, targeting the pressure points in neck, back, arms, shoulders, feet, and calves. You won't get the full-body heat function, but the lumbar and seat areas are heated. The air bag compression massage is great for feet, calves, and the soles of the feet, providing top notch reflexology massage. The coverage makes this chair an optimal pick, encompassing more than 1,200 square inches. 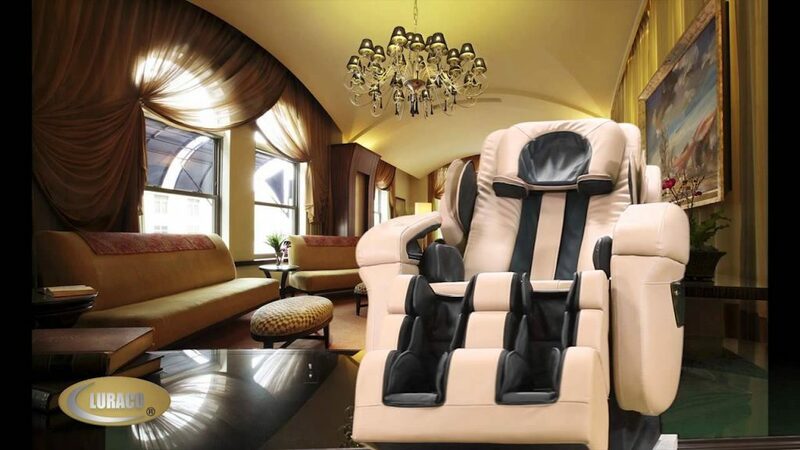 There are 16 automatic programs, all accessible from the remote control, and myriad possibilities for creating your own customized massage from the various techniques and options. There's even a pocket for your phone. And with a youth setting, this one is even great for young adults. If you're looking for quality and features but budget is a concern, here are a few good bets that won't break the bank. For under $5,000, this is a top pick if you're watching your wallet. With its array of high tech features, therapeutic benefits, and durability, this competes well even among the luxury brands. High-end models will all feature 3D roller technology, which most closely mimics human massage. The rollers work in multiple planes, so the massage doesn't just glide along your body, it penetrates deep into your soft tissue and muscles. The Infinity IT-8500 has 2D rollers instead, but you still get all the great features of the more expensive brands. Built-in sound system speakers, body scan, neck and head massage, foot rollers, and heat are all on par. So, if you're willing to make one concession on the rollers, this is a fantastic choice. If 3D rollers are a must-have, however, and you still want to save a bit of money over the Luraco, for an extra $1,000 you can buy the IT-8500 3X and get the 3D massage rollers. For less than a third of what you'd pay for the Luraco or Human Touch, the Osaki OS-4000 is a top-rated unit at $2,300. You get the same computerized body scan for personalized massage just as you get in the higher end models, as well as two stages of zero gravity recline. Delivered via the s-track system, the massage is delivered by way of rollers that are designed to follow the contours of your spine and back. The shoulders, arms, and hips are massaged with compression air bags, and the lumbar and hip areas also feature squeezing. You can just from five levels of intensity, and set the automatic timer for anywhere from five to 30 minutes. There's heat in the lower back, and like the OS-3D, you get computer scanning for a custom leg massage. Lacking many of the features that you'll get in the other budget and luxury models, the LM-6800 is still a great choice. For under $2,000 this is the best for the money. 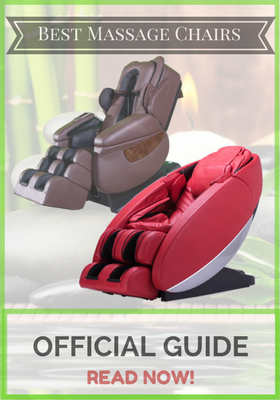 Massage is good for us no matter how technologically advanced the features are, so you should never be discouraged by chair price alone. Massage will increase your relaxation, you'll sleep better, and you'll find your immune system will become much stronger. If you're tight on space, the LM-6800 will be a boon. You only need five inches from your wall to recline. The lumbar and calf sections are heated, which aids in loosening tight, overworked muscles and increasing circulation. The massage functions feature 36 air bags and four rollers. This is a top-selling chair for good reason. 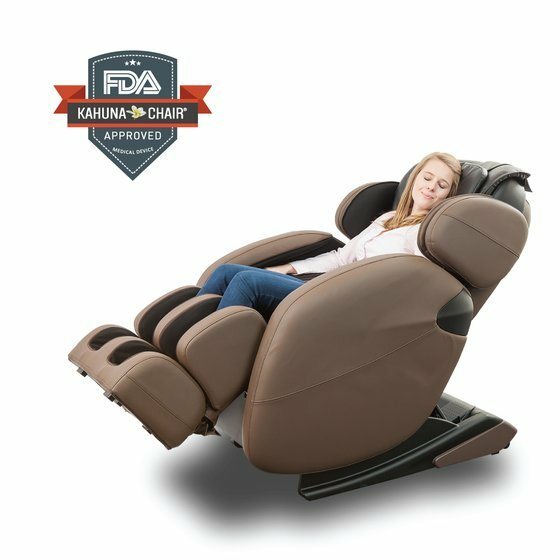 Whether you're able to spend the money for the best, top-of-the line luxury zero gravity massage chair on the market, or want all the great features for a little less money, there's a quality chair out that's just right for you. With the prevalence and availability, you can now easily pick up a great unit at Amazon or Costco, and be on your way to hours of relaxation and wellness in no time. Make this year the year you invest in more healthful living.